Centrally located in North Carolina’s Piedmont Region, this hotel provides rooms with free Wi-Fi and serves a free daily hot breakfast. The Catawba River Greenway is 8 km away. 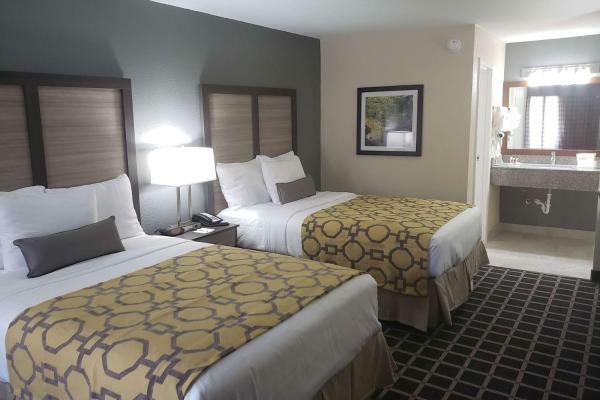 The Sleep Inn hotel is located off Interstate 40, just minutes from Western Piedmont Community College. This hotel is close to area attractions and businesses, including Grace Hospital, Lake James, Linville Caverns and Hickory Furniture Mart. The Hickory Regional Airport and the Blue Ridge Mountains are 20 miles away. Morganton Days Inn and Suites酒店提供每日欧陆式早餐和内部健身中心，交通便利，位于40号州际公路旁，距离摩根（Morganton）市中心有2英里（3.